[S227] John Philipot, The Visitation of Kent, 1619, p. 99. [S117] The Times Newspaper, 26 Sep, 1961. [S117] The Times Newspaper, 2 Mar 1950. [S117] The Times Newspaper, 27 Nov1950. [S232] Ancestry.com, England & Wales, Death Index, 1916-2007. [S205] Newspaper, Times of India, 29 November 1878. [S89] Family Search, Parish register transcripts from the Presidency of Bengal, 1713-1948 India. Office of the Registrar General. [S117] The Times Newspaper, Jun 17, 1913. [S117] The Times Newspaper, Monday, Oct 01, 1956. Adrian Alexander Minto Crombie was born on 25 July 1882 in Darjeeling, India.1,2 He was the son of Lt. 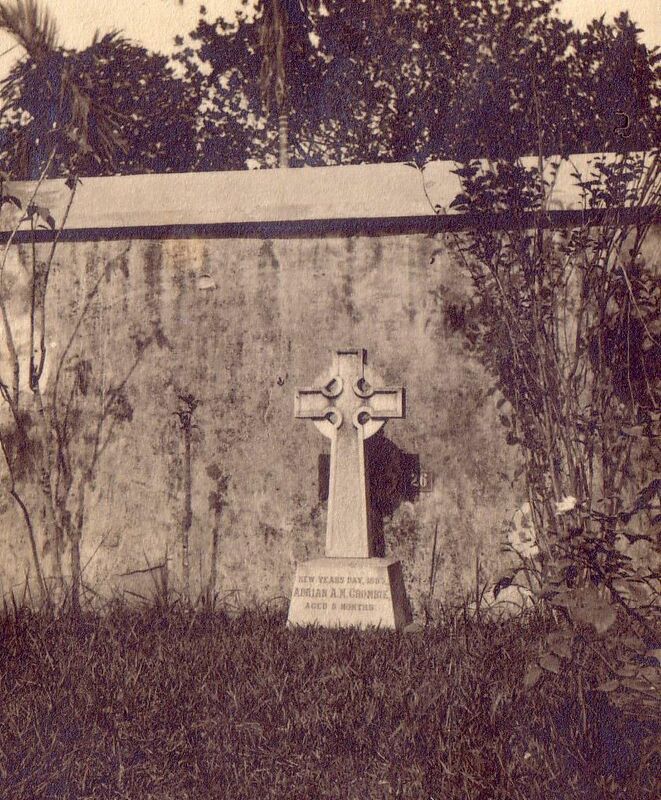 Colonel Alexander Crombie CB, MD and Zébée Minto Bell.1 Adrian Alexander Minto Crombie died on 1 January 1883 in Dacca, India.1,3 He was buried in Dacca Cemetery. [S205] Newspaper, Times of India, 4 August 1882. Lt. Colonel Alexander Crombie CB, MD was born on 12 December 1845 in Crail, Fife, Scotland. 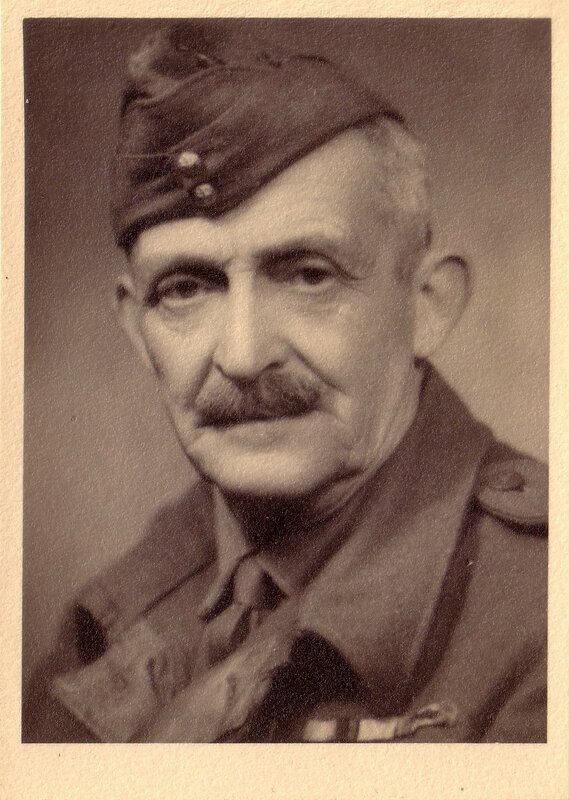 He was the son of David Guillan Crombie and Janet Campbell (Jessie) Webster.1 Lt. Colonel Alexander Crombie CB, MD was christened on 30 December 1845 at Crail, Fife.2 He graduated in 1867 from Edinburgh M.B; M.D. 1870, admitted to The Royal College of Surgeons. The Fife Herald dated 9 March 1871 reported that Dr. Alex. Crombie of Kilwinning [sic. ], had the rare honour of attaining the highest number of marks at the recent competative examination for Her Majesty's British Medical Service, held at the London University, on the 20th ult. He entered military service as an Assistant Surgeon in the Bengal Medical Service. on 30 March 1872. He married Zébée Minto Bell, daughter of Dr. William Bell and Zébée Stewart Gordon, on 13 March 1875 in Holy Trinty Church, Rangoon, Bengal, India, the service was conducted by the Revd. Wellbore McCarthy.3,4 In 1885 he is recorded in the Army List as senior surgeon in charge of the jail, lunatic asylum, medical school and civil hospital in Dacca. Lt. 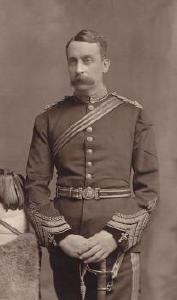 Colonel Alexander Crombie CB, MD retired on 7 April 1898 as a Brigade Surgeon with the rank of Lt. Colonel. 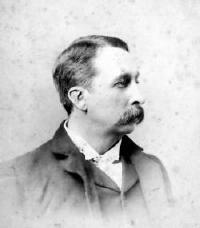 In evidence published in the Indian Hemp Commission Report, 1894 "Surgeon-Lieutenant-Colonel Crombie (witness No. 104), of over 20 years' service, is not aware of any ill effects being produced by the moderate use of the drugs, but he added: "If any were produced; the use would no longer be moderate, but excessive." In cross-examination Dr. Crombie stated: "I have had no experience of any diseases attributable to ganja. My experience has been chiefly in Eastern Bengal, where ganja is largely consumed." The Forbidden Game - Brian Inglis "There was no shortage of witnesses to testify to the way hemp drugs caused insanity; a few even expressed the view that to reopen this particular line of enquiry was stupid, implying 'wilful blindness to what has been abundantly proved'. And so the evidence at first suggested. Statistics sent in from mental hospitals all over India showed that for years, hemp drugs had been one of the chief causes of mental breakdown. 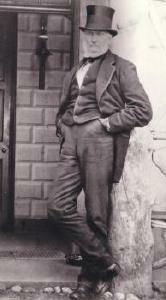 The foremost expert on the subject, Surgeon Lt. Col. Crombie, had already shown in an article in the Indian Medical Gazette that a third of the inmates of the Dacca hospital of which he had been Superintendent had smoked ganja; and in a very large proportion of cases, he believed, it had been 'the actual and immediate cause of their insanity'. The 1871 Commission, which in other respects had tended to play down the danger of the drugs, had accepted that their habitual use did tend to produce insanity; and the Government of Burma had just put a ban on hemp drugs largely for that reason." 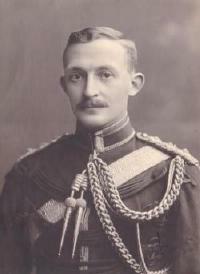 The news that Brigade-Surgeon-Lieutenant-Colonel Alexander Crombie died in London on Sept. 29th will be received with deep sorrow by all who knew him, not only in this country but also in India by the many friends amongst whom he spent so many years of his life, and where the greater part of his life's work was done. 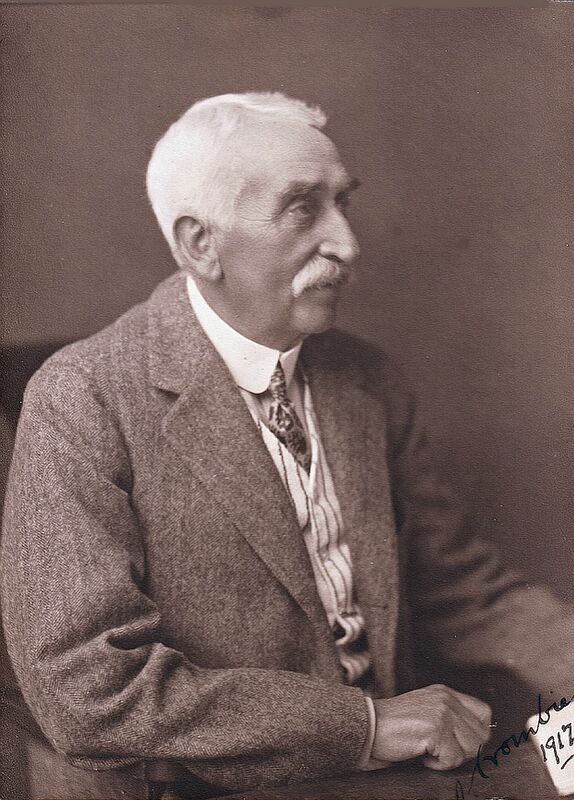 Dr. Crombie was the youngest son of Mr. David G. Crombie, of Kilminning, Fifeshire, and was born in December, 1845. After completing his early education at St. Andrews he went to Edinburgh to study medicine and graduated at that university, taking his M.B. with honours in 1867 and his M.D. degree in 1870. In 1867 he also became L.R.C.S. Edin. Dr. Crombie was a Fellow of the University of Calcutta, an Associate of the Order of St. John of Jerusalem, and was created a Companion of the Bath (civil division) in 1902. Dr. Crombie entered the Army Medical Service on April 1st, 1871, taking first place in the competitive examination. He, however, resigned his commission in the following December, for the purpose of entering the Indian Medical Service, which he did in the following March, again obtaining the first place in the list of successful candidates for commissions. Arriving in India in July, 1872, after a few months' regimental service, Dr. Crombie was appointed resident surgeon at the Calcutta Medical College and in 1873 was appointed lecturer on surgery and second surgeon to the hospital. In 1874 he became professor of materia medica and second physician. From February, 1875, until April, 1877, he held the appointment of civil surgeon at Rangoon and health officer of that port. At the last-named date he was transferred to the civil surgeoncy of Dacca where he was also superintendent of the medical school, the Mitford Hospital, and the lunatic asylum. He at the same time was in medical charge of the gaol. In April, 1880, he was transferred to the civil surgeoncy of Simla, a post which he held for two years, and then returned to his former post at Dacca, where he remained until 1888 when he was transferred to Calcutta to take up the appointment of surgeon-superintendent of the Presidency General Hospital, which post he held for ten years. During this time Dr. Crombie was engaged in a large practice, chiefly consulting work, as well as his onerous official duties. He retired from the service in 1898 and on leaving Calcutta was presented by his medical confrères in that city with a testimonial expressing the high esteem and affection in which they held him. On his return to England he practiced his profession in London as a consulting physician. He was appointed a Member of the Medical Board at the India Office and filled that position for three years; he held the office of physician to King Edward VII. 's Hospital for Officers; and it was in recognition of his services to the sick and wounded officers who returned home from the Boer war that he received his C.B. 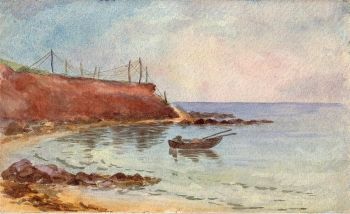 Dr. Crombie lectured on the Diseases of Tropical Climates at the Middlesex Hospital Medical School and also at the London School of Tropical Medicine. He was nominated by the Secretary of State for India to attend the international medical congresses at Moscow in 1897, at Paris in 1900, and at Madrid in 1903, representing India at those meetings. Dr. Crombie was the author of many very able papers on professional subjects. Special mention maybe made of his treatises on "The Unclassified Fevers of the Tropics" and "Normal Temperature in India" ; and his articles on "Sprue," "Hill Diarrhoea," "Congestion," and "Abscess of the Liver" in Allchin's Manual of Medicine. Dr. Crombie was a most painstaking physician, earnest and conscientious in his work, an able diagnostician, and a loyal and sympathetic colleague. He was a man of great breadth of view, whose opinion on other than professional matters was often sought and always willingly given, regardless of trouble or personal inconvenience. He was a thoroughly trustworthy man, who never failed one of the many friends whom he leaves to mourn their loss, a loss in which are involved not only relatives and friends but also the great service of which be was a distinguished member. The Lancet. [S205] Newspaper, Medical Times and Gazette 3 April 1875, p. 380. Professor Alistair Cameron Crombie PhD. Professor Alistair Cameron Crombie PhD. was born on 4 November 1915 in Brisbane, Australia. 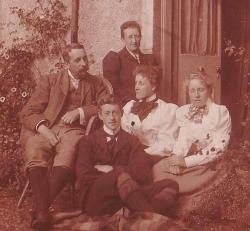 He was the son of William David Crombie and Janet Wilmina (Mina) Macdonald. After school at Geelong Grammar School, he began his university career at Trinity College, Melbourne University, as a medical student, and took his first degree there in zoology in 1938. Leaving Melbourne, he continued his studies at Jesus College, Cambridge, where he took his doctorate in 1942 with a dissertation on population dynamics. Between 1941 and 1946 Crombie occupied a temporary research position witht he Ministry of Agriculture and Fisheries. In 1946 he was appointed lecturer at University College London. In 1953 he was the successful applicant for the lecturship of the history of science at Oxford. In 1969 a fellow of Trinity. Professor of History of Science, Oxford University. Senior Fellow of the British Academy, 1990. President International Academy of the History of Science, 1968-1971. Fellow of Royal Historical Society, Galileo Prize, 1969. Professor Alistair Cameron Crombie PhD. married Nancy Hay in 1943 in Ramsgill, Yorkshire, (possibly called Mary.) Professor Alistair Cameron Crombie PhD. died on 9 February 1996 in Orchard Lea, Boars Hill, Oxfordshire, at the age of 80 at his home, from a brain tumour. He was buried on 19 February 1996 in Ramsgill Church, Yorkshire, in the same grave as his wife. [S232] Ancestry.com, Australia, Birth Index, 1788-1922. [S392] Website findagrave.com (http://www.findagrave.com/) "#176630814." Squadron Leader Charles Arbuthnot Crombie D.S.O., D.F.C. [S205] Newspaper, The Argus (Melbourne, Vic.) 18 February 1943. [S47] James Cameron & Archer, Sarah Beatrice Cameron Crombie, The Crombies and Camerons, p. 66. [S205] Newspaper, Times of India, 18 December 1882. [S47] James Cameron & Archer, Sarah Beatrice Cameron Crombie, The Crombies and Camerons, p. 43. [S232] Ancestry.com, Fife, Scotland, Cupar Library Newspaper Index Cards, 1833-1987 in East Fife Record, 14 October 1881, p. 2. [S232] Ancestry.com, Fife, Scotland, Cupar Library Newspaper Index Cards, 1833-1987. [S205] Newspaper, The Courier-Mail (Brisbane, Qld.) 2 March 1946. [S117] The Times Newspaper, Jun 03, 1924. He died on 10 December 1879 in Kilminning, Crail, Fife, at the age of 82 of Bright's disease.8 He was buried in Crail Churchyard. [S47] James Cameron & Archer, Sarah Beatrice Cameron Crombie, The Crombies and Camerons, p. 14. [S232] Ancestry.com, Fife, Scotland, Cupar Library Newspaper Index Cards, 1833-1987 in East Fife Record, 27 August 1875, p. 2. [S205] Newspaper, Fife Herald, 18 December 1879. [S205] Newspaper, The Brisbane Courier, 31 January 1874. [S47] James Cameron & Archer, Sarah Beatrice Cameron Crombie, The Crombies and Camerons, p. 48.